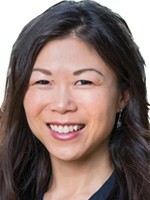 Alyssa Kim Schabloski is a trial attorney with The deRubertis Law Firm, APC. A plaintiff’s lawyer for her entire career, she practices in employment law with experience in medical malpractice and catastrophic personal injury. Alyssa graduated from Barnard College and obtained her JD and MPH from the UCLA Schools of Law and Public Health. She is committed to the profession and community, serving as Secretary of the Los Angeles Trial Lawyers’ Charities (LATLC), a member of the CAALA Board of Governors, and Vice Chair of the New Lawyers Committee. Alyssa is admitted to practice in California and Arizona.